I had to just drop a few lines to say that I am having amazing success with my free short story! (Thanks for reading if you did!) I just went over the 200 downloads mark in 3 weeks! It has surpassed my other free ebook already that has been out since November. Also, I’ve gotten some feedback from friends who hadn’t gotten around to reading any of my work. I think I’m getting a chance because of the quick read. I’m always so happy when someone likes my writing–like I get when I buy someone the perfect gift. 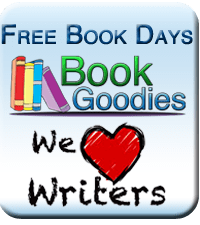 I would definitely recommend the free short story as a promotion! I’ve gotten some sales since releasing my “free sample”! That’s an awesome idea. Congratulations on your success! Thanks! I have heard this idea from several authors and it really does do a lot for your visibility. Congratulations! Over 200 downloads is incredible!